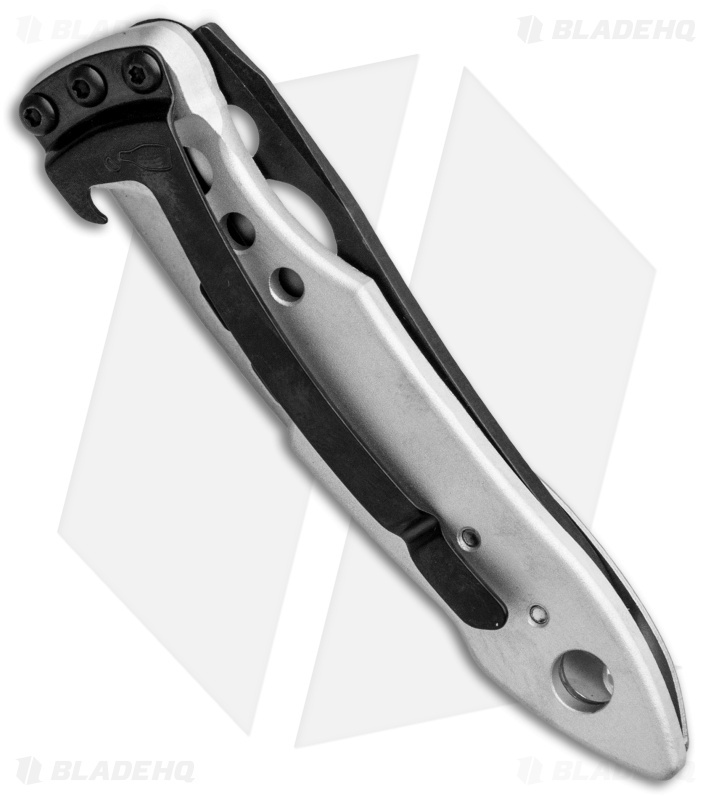 This Silver & Black Skeletool KBX model features a stylish two-tone design with a silver handle and black tools. 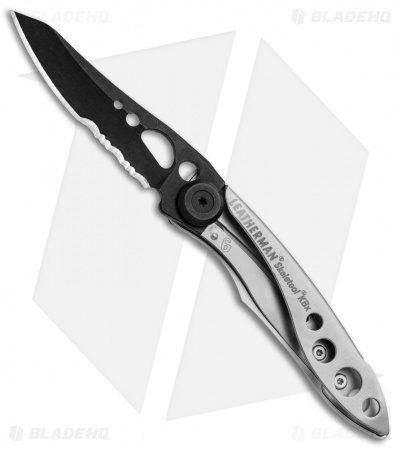 The Leatherman Skeletool KBX applies the popular Skeletool frame to a quality EDC folding knife. It has a stainless steel handle and liner lock with a versatile combo blade made from 420HC steel in a modified wharncliffe style. 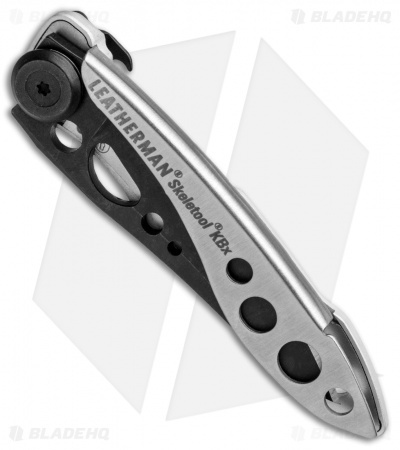 Item includes a stainless steel pocket clip with an integrated bottle opener. Stainless steel construction offers a solid, durable build. 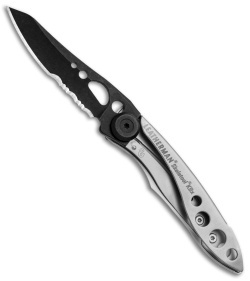 420HC steel blade provides a versatile cutting edge for heavy duty work or quick EDC chores. 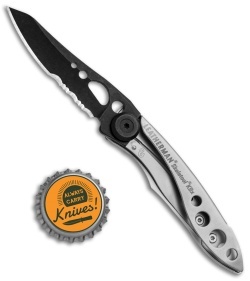 Includes a stainless steel pocket clip for tip-down carry with an integrated bottle opener.